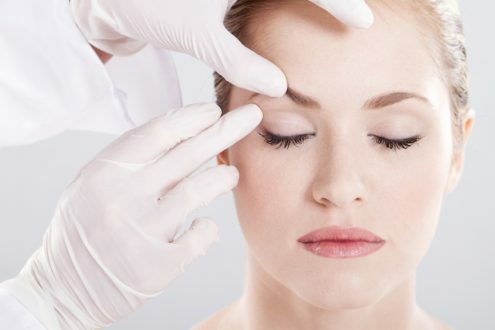 Botox, in other words Botulinum toxin, is a substance commonly used in aesthetic medicine. By many people, it is considered an ally in the fight against wrinkles. On the other hand, another group of people claims that it causes irreversible changes associated with the proper functioning of the facial muscles. What should you really know about Botox? How does the botulinum toxin work? This substance is often confused with classical fillers. These, fill in the defects in the tissue, that come with age. They improve skin firmness, stimulate the production of collagen, provide the correct shape of the face and restore volume. However, Botox works differently. It stops impulses from moving from the nerve to the facial muscles, which is the main cause of the appearance of wrinkles. Therefore, muscle contractility decreases and the skin becomes smooth and firm. Botox is mostly used in treatments intended for smoothing wrinkles (lion’s wrinkle or a valley of tears). However, it is not the only purpose of botulinum toxin. This substance is also responsible for lifting the corners of your mouth, treatment of bruxism (teeth grinding and clamping jaws), reducing gummy smiles and treating hyperhidrosis. It is a big advantage that the treatments with the use of Botox can be done both during winter and summer. They are considered to be safe without limiting the performance of any daily duties. Remember that a few hours after the procedure, you should not bend or massage your face. Moreover, Botox treatment is recommended for everyone who suffers from serious skin problems. Also, for people who feel the need to take care of their look in advance and delay the skin ageing process. Therefore, the number of twenty-five year old people who decide to enhance their looks by undergoing Botox procedures, is still increasing. You can start admiring the results two weeks after the procedure and the effects last up to about 8 weeks. Take all the pros and cons under consideration and decide whether it is worth doing or not.